If you ask people who’ve maintained workshops for long periods of time about their scariest safety horror stories, you’ll likely find the responses have a common theme. The accidents happened because somebody who knew the safety rules simply didn’t follow them. Workshop activities often involve doing repetitive work, and it’s easy to understand why people might decide to sidestep necessary safety precautions. They’ve done this before. Maybe so many times they feel like they could do it blindfolded. That’s where the trouble begins. You might have them all memorized, but it’s unwise to ever skip these basic workshop safety rules. Many workshop accidents occur when owners upgrade to a new piece of equipment or replace a power tool. They’ve been using the previous one for years. They all work the same, right? Absolutely wrong. It’s crucial to read through the literature that comes with new power tools and equipment. It’s newer, and likely to be safer – but only if used appropriately. You’ll use it again tomorrow, or at least by the end of the week. Meanwhile, it can add to clutter and make the operation of other tools less safe. Take the extra minute to put unused tools away. It also prevents them from unintended damage. 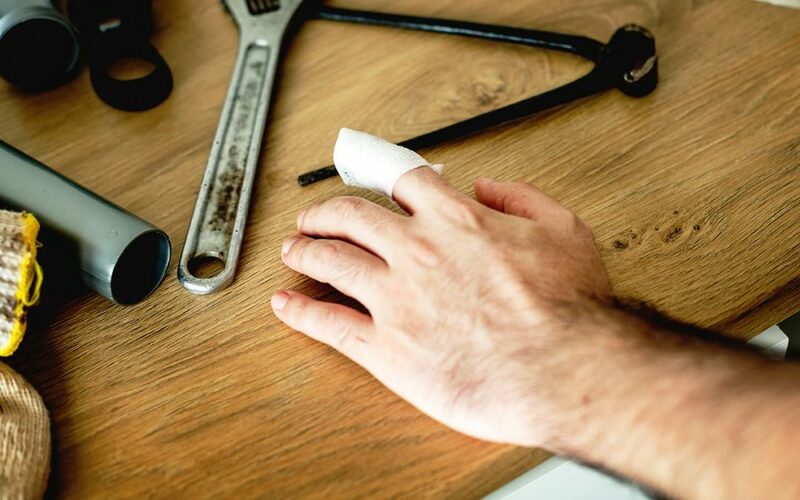 Every dull or poorly maintained tool in your workshop adds to injury risk. If you’ve been doing it for a while, you may have hundreds of tools. Each one can count as at least one strike against staying unharmed, so the odds can stack up against you in quick fashion. Sharpen tools when they need it, and then make sure to protect those newly honed edges. Proper storage keeps it in top shape. Some master woodworkers have tools that were made in the last century. They work as well as when they were first manufactured because of proper care and maintenance. Not all tools are made to last a century. Be realistic about using power tools that just aren’t up to the task anymore. Many older power tools lack proper safety features that may be required by current regulations. For example, most power tools that are considered as vintage are not double insulated, which can cause an electrical grounding hazard. Good workshop safety starts with having a proper workshop structure. Miracle Truss® offers a wide variety of workshop designs that are easy to put up – often up to five times faster than conventional construction. Check out our growing collection of DIY metal and steel workshops submitted by Miracle Truss® customers.